Each year the members of the Perennial Plant Association choose a plant of the year. This is a guide about perennial plants of the year. With all of the new plants being introduced to the gardening marketplace each year, it's hard to know which are worthy of your time and attention. 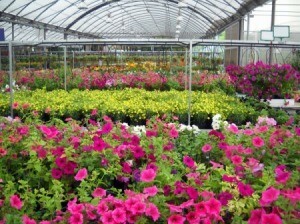 Here are four award winning plants-proven performers in gardens around the country-to keep an eye out for in 2012. If you've never grown a Brunnera before, you're in for a real treat. These classic woodland plants are prized for their shade tolerance, as well as their handsome foliage and delicate sky blue flowers. Bred by Walters Gardens, Inc., 'Jack Frost' was first introduced to the marketplace in 2000 and has since proven itself to be a beautiful and reliable perennial plant for shade gardening. The dark green leaves are frosted with a metallic silver finish. From mid to late spring, clusters of baby blue, forget-me-not type blossoms appear on airy stems several inches above the foliage. 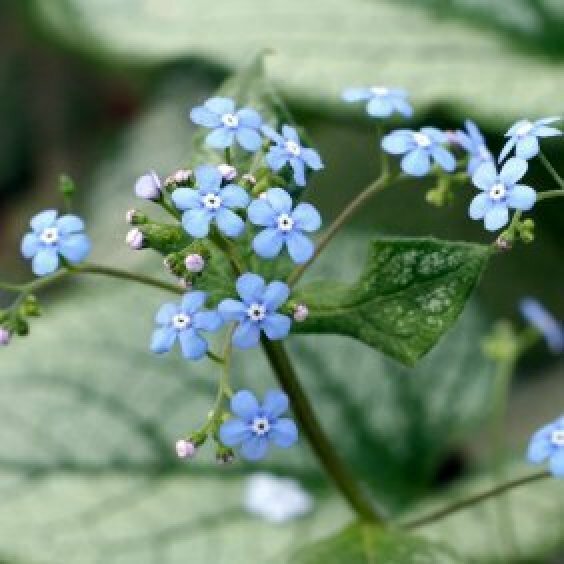 In the landscape, use Brunnera in groups or in mass plantings as a slow-spreading groundcover. Plants grow in clumps and perform best if grown in moist, rich soil. Brunnera also make good container plants, and once established, require very little care. Leave old foliage intact until the spring to help to protect the crown during the winter. Winter mulching is also recommended. 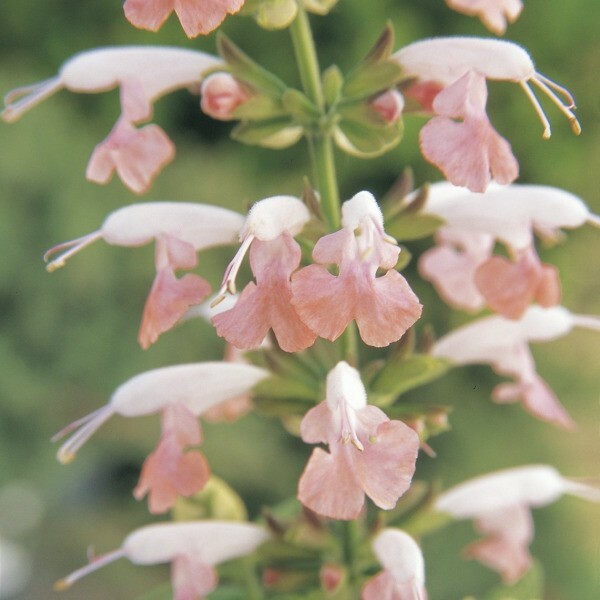 Salvia 'Summer Jewel Pink' is a dwarf-sized, compact annual, worthy of accolades due to its early spikes of pink blooms that last throughout the entire growing season. Sister to earlier AAS winner Salvia 'Summer Jewel Red', the blooms on 'Summer Jewel Pink' appear almost two weeks earlier than the other pink salvias. Annual salvias are beautiful to look at, and well-loved for their tolerance to heat and drought. Pollinators find them irresistible, especially hummingbirds, who love their colorful, tubular flowers. Bred by Floranova, Ltd., 'Cayennetta' is an excellent tasting pepper that is very easy to grow, even for the novice gardener. 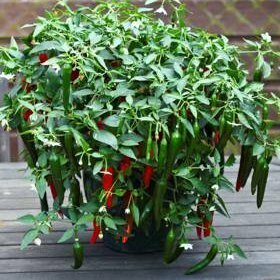 This pepper makes an excellent container plant for the patio, because its well-branched upright structure requires no staking, and it produces a prolific amount of 3 to 4 inch fruits. Unlike some pepper varieties, 'Cayennetta' is also very tolerant of cold and heat, which makes it less prone to aborting flowers during fruit set. Unique characteristics: good cold and heat tolerance; dense foliage protects fruits from sun scorch. 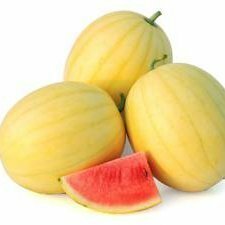 Non-traditional in appearance, the 'Faerie' watermelon has a creamy yellow rind with thin stripes, yet it still yields a sweet, pink flesh with a high sugar content and crisp texture. With the vines that spread only to 11 feet, this melon uses less space in the garden and is ideal for gardeners with limited space. Bred by Known-You Seed Company, each 7 to 8-inch fruit weighs approximately 4 to 6 pounds-the perfect size for families. Unique to this variety: early and easy fruit setting; space efficient; pink flesh with a light yellow striped rind. Editor's Note: This is such a beautiful plant we decided to republish Ellen's article to reintroduce you to this gorgeous blue geranium. 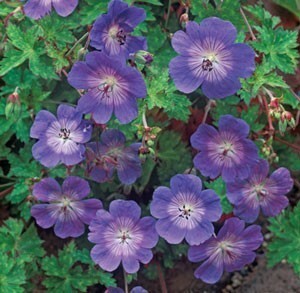 Recently, The Perennial Plant Association has announced that the 2008 Perennial Plant of the Year is Geranium 'Rozanne' (Rozanne cranesbill geranium). 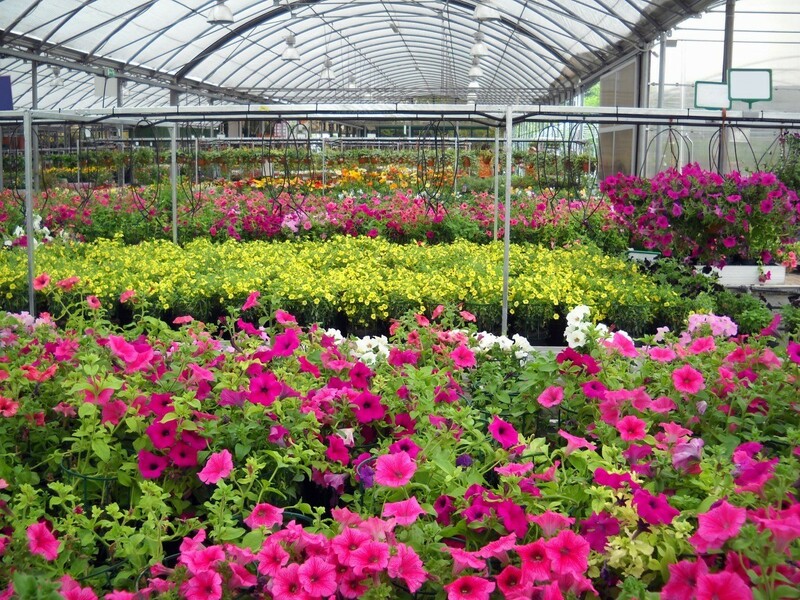 The Perennial Plant Association is a trade organization made up of nurseries, landscapers, and other garden industry experts, dedicated to educating gardeners on exceptional perennial plants. 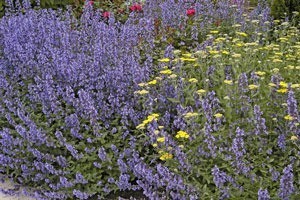 Article: A Look at the 2006 Perennial Plant of the Year! When shopping for perennial bedding plants this year, you can expect to see a lot of plant labels marked 'Cheddar Pink'. 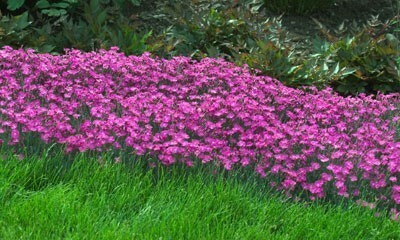 That's because the Perennial Plant Association awarded Dianthus gratianopolitanus (also known as 'Feuerhexe' or 'Firewitch') the 2006 Perennial Plant of the Year. This drought tolerant and disease resistant perennial, native to Arkansas and Oklahoma, is grown for its feathery foliage and pretty blue flowers. Birds and insects like the flower nectar and deer are repelled by the milky sap. 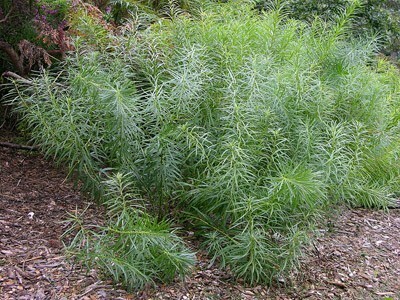 This is a guide about growing Amsonia hubrichtii (Arkansas blue star).